Attorney General William Barr will be forced by the courts to release as fully as possible the final report by special counsel Robert Mueller following the investigation into alleged Russian interference in the 2016 election, a former Watergate prosecutor said. 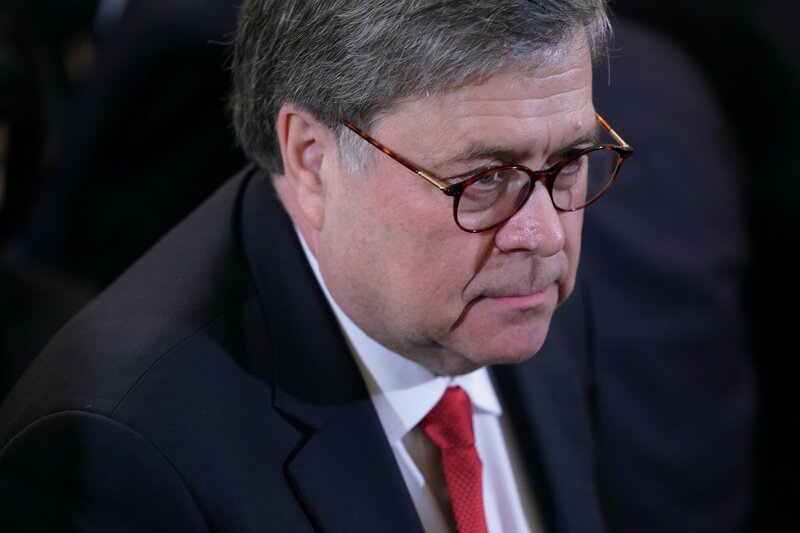 Nick Akerman, a prosecutor in the Watergate scandal that brought down President Richard Nixon, to which the Russia investigation has been compared, told MSNBC’s Chris Hayes that he initially gave Barr the benefit of the doubt, but now believes the AG is acting in bad faith. The New York Times reported on Thursday that some members of Mueller’s team are saying the report is more damaging to the president than Barr’s summary of its conclusions suggests. Akerman told All In on Wednesday he could identify with the frustrations of Mueller’s team, citing his own experiences on the Watergate case. The ex-prosecutor said that when Nixon orchestrated the firing of special counsel Archibald Fox in the infamous “Saturday Night Massacre,” he left the office with papers under his clothes ready to talk to the media if it meant the end of the investigation. He said the Times report is a warning to Barr about releasing the report, which he believes will come out soon. “Look at how many people were involved in this investigation that know what the truth is,” Akerman said. “He is really playing with fire here. There’s only so much you can do as a political hack and get away with it. He’s not going to get away with it because sooner or later that entire report is going to come out. A judge is going to order it. Barr is under pressure from Democrats in Congress to release in full Mueller’s book-length report and any supporting evidence. So far, Barr has released only his own four-page summary of what he says are Mueller’s main conclusions. But he has also said he is aiming for at least a partial release of Mueller’s report in April. President Donald Trump has falsely claimed total exoneration by the report, which explicitly does not exonerate him, per Barr’s summary, of obstruction of justice. Mueller laid out the evidence of obstruction and deferred the complex prosecutorial decision to Barr and Deputy Attorney General Rod Rosenstein, who concluded no case could be brought against President Trump. “He says it has to be a judicial proceeding. Not true. An FBI investigation can be the subject of an obstruction,” Akerman said. On Wednesday, the House Judiciary Committee authorized subpoenas of the Justice Department for the Mueller report, which Chairman Jerry Nadler, a New York Democrat, said he wanted to see in full and without redactions. Akerman believes the point of Barr delaying the release of the Mueller report is to give Trump the space to pitch his innocence to the electorate and sway opinion in his favor. “The whole point behind this is to try and get out the statement that ‘oh, Trump has been exonerated, he didn’t do anything wrong,’ so he can go out with his PR program that he’s been involved in,” he told MSNBC. Akerman also said the Mueller report must be released because it may contain bad behavior by Trump and others that is not currently criminal but should be in future, giving legislators a blueprint for changing the law. “Should it be that a presidential campaign is approached by the Russians to offer help and you just sit there and you don’t call the FBI?” Akeman said. “I mean, normally that would be something known as misprision of a felony, which nobody ever charges. But there could be a number of items here, including changes to the Computer Fraud and Abuse Act—the criminal statute that involves hacking. And he said at the very least Congress should see the Mueller report in full because it may contain grounds for the impeachment of Trump. The justice department did not respond immediately to a request for comment.